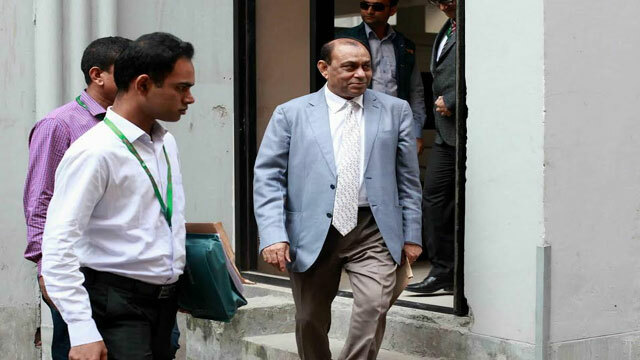 Dhaka, Dec 6 (Just News): The Anti Corruption Commission is interrogating former chairman of BASIC bank Abul Hye Bacchu again. He reached the ACC headquarters at Segunbagicha at 10am on Wednesday. The interrogation has been continuing till filing of this report. ACC deputy director (Public Relations) Pranab Kumar Bhattacharya confirmed this. Earlier on 4 December, ACC interrogated Bacchu. That day he claimed, "I have said as far as I can about BASIC bank's loan scam of several thousand crore." ACC recently summoned BASIC bank former chairman Abdul Hye Bacchu and directors under him for interrogation. After about four years into the investigation, the ACC sent them notice for interrogation. ACC was compelled to take the steps following several observations by the Appellate Division and the High Court Division. Eleven members of the board of directors including Abul Hye Bacchu were summoned in phases. On 18 November, ACC sent the notice to his house at DOHS, Banani, to appear on 4 December. In a space of 11 months between April 2012 and March 2013, the board of directors led by Abdul Hye Bacchu disbursed Tk 34.93 billion as loans through unprecedented irregularities. After investigations, Bangladesh Bank at that time said, "Such decisions by the board of directors are not practised in any of the 40 scheduled banks. The possibility of recovery of this loan is very thin." At the end of 2015, ACC filed 56 cases with Motijheel, Paltan and Gulshan police stations in connection with the BASIC bank loan scam, accusing 156 persons. Ten ACC officials are investigating the cases. However, Bacchu was not accused in any of the cases. According to Bangladesh Bank, the total loan default of BASIC bank is 53 per cent (Tk 70.39 billion) till June last, which is higher than any other bank.